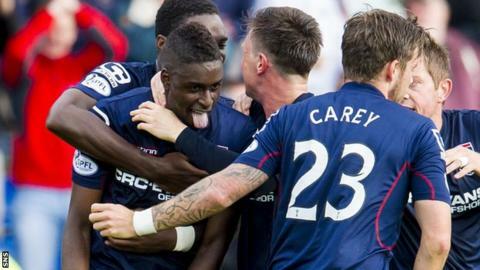 Dutch forward Darren Maatsen has left Ross County to join Den Bosch, who play in the second tier in the Netherlands. The 24-year-old, who previously played for Excelsior in the Dutch top flight, joined County in 2013. But he made only two starts for the Scottish Premiership club, making eight of his 20 appearances for County this season, scoring twice. He has now signed for Den Bosch on an amateur basis after being released by the Dingwall club. Den Bosch football affairs manager Fred van der Hoorn told his club website: "Darren is a fast, right-footed attacker who is happy to be back working on Dutch soil after his Scottish adventure." County had earlier announced that the club and Maatsen "have agreed terms to terminate the player's contract". Meanwhile, 22-year-old defender Lewis Toshney, who was also released by County, has agreed to join Cowdenbeath in the Scottish Championship.